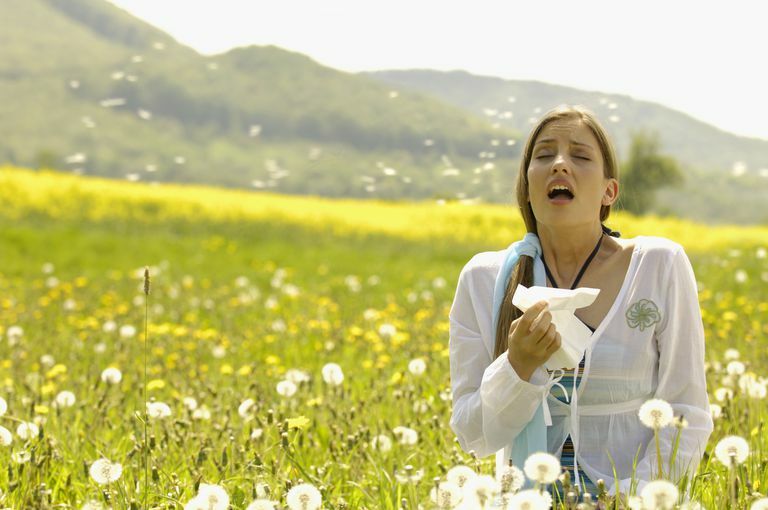 It's not unusual for people who have celiac disease or non-celiac gluten sensitivity to also suffer from seasonal allergies and/or hives. But when you follow the gluten-free diet, you need to make sure that everything you put in your mouth—including allergy medication—is gluten-free. In addition, there are numerous gluten-free store brand versions of allergy products (including store brand versions of Allegra, Claritin, and Zyrtec) available in nationwide pharmacy chains. Here's the list of gluten-free allergy and sinus medications. Advil Sinus Congestion & Pain (pain reliever ibuprofen 200mg and nasal decongestant phenylephrine HCI 10 mg). According to manufacturer Pfizer Consumer Healthcare: "Gluten is not added to any Advil® product during the manufacturing process. However, we cannot guarantee that minute amounts of gluten or gluten derivatives are not contained in raw materials obtained from various suppliers for our manufacturing process since the end product is not tested for gluten." The active ingredient in Allegra adult tablets and Allegra gelcaps is fexofenadine HCI 180 mg, an antihistamine. The active ingredients in Allegra allergy and congestion are fexofenadine HCI 180 mg and pseudoephedrine HCI 240 mg, a nasal decongestant. "Because there is no standardized gluten-free certification process, Allegra is not certified as gluten-free, but none of the ingredients are derived from wheat, barley, spelt, oats, or rye. Corn gluten is present in the pregelatinized starch; however, this type of gluten is not gliadin gluten, to which some people develop a sensitivity. Finally, Allegra does not contain and is not derived from dairy, lactose, casein, eggs, iodine, peanuts, shellfish, soy, taic, tree nuts, or whey." According to Benadryl manufacturer McNeil Consumer Healthcare, a division of pharmacy giant Johnson & Johnson, only the Benadryl dye-free liquid gels are considered gluten-free. Some people swear by Benadryl as an over-the-counter remedy for some of the symptoms people with celiac disease and non-celiac gluten sensitivity may experience when they accidentally ingest gluten. However, there's little evidence Benadryl can help alleviate glutening symptoms. All contain the active ingredient loratadine (5 mg or 10 mg, depending on the product), an antihistamine. Claritin-D also contains pseudoephedrine sulfate (either 120 mg or 240 mg, depending on the product), which is a nasal decongestant. All formulations are gluten-free, according to manufacturer Bayer HealthCare. Some gluten-free products. Sinex and QlearQuil decongestants are made by Vicks, which has an extensive line of gluten-free cough, cold and flu medications. Note that Sinex/QlearQuil products not on the above list are not considered by the manufacturer to be gluten-free, so steer clear. No gluten ingredients. This 24-hour allergy medication is a relative newcomer to the over-the-counter allergy medications market. Xyzal comes in adult and children's formulations and contains the active ingredient levocetirizine dihydrochloride, an antihistamine. According to manufacturer Chattem: "None of the ingredients contain or are derived from barley, oats, rye, spelt, or wheat. As there is no standardized gluten-free certification process for medicines, Xyzal Allergy 24HR tablets are not certified as gluten-free." Note that the allergen information on Xyzcal states that it contains lactose monohydrate from processed milk. Xyzal is similar to the allergy medication Zyrtec, which does have gluten-free alternatives (see below). The active ingredient is cetirizine hydrochloride 10 mg, an antihistamine. Zyrtec-D, the allergy plus congestion formula, adds the nasal decongestant pseudoephedrine HCl 120 mg. Both the liquid gels and the Allergy & Congestion formula have been tested and were found to be gluten-free, according to Johnson & Johnson, which says the other two formulations have no gluten ingredients: "We do not knowingly use gluten-containing ingredients in any of our Zyrtec products." If you suffer from allergies, it's not difficult to find over-the-counter allergy medications that are gluten-free. There are gluten-free options for every brand-name allergy medication and almost every formulation. Be careful when taking over-the-counter allergy medicines, since some may cause drowsiness and can affect your driving. Also, note that some over-the-counter allergy medications contain the same active ingredients as gluten-free cold and flu medications. Never take more than the recommended dose, and don't take more than one product at the same time without talking to your doctor first. U.S. Food and Drug Administration. Caution: Some Over-the-Counter Medicines May Affect Your Driving fact sheet. What Steak Sauce Can You Use When You're Gluten-Free? Is Baileys Original Irish Cream Liqueur Gluten-Free? Can You Trust Cornstarch If You're on a Gluten-Free Diet? Can You Follow the Nutrisystem Diet If You're Gluten-Free? Which Brands of Bottled Juices Are Gluten-Free?